Erik and I live in an apartment that is either good-sized (if you live in NYC) or cramped (if you live anywhere else), so just thinking about turning on the oven will raise the temperature by at least 10 degrees. Because of that, we make a lot of no-cook recipes in the warmer months. We relied on salads and sandwiches until about this time last year, when I followed a raw food diet for a month as a fundraiser for a sick friend. 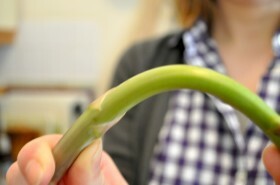 My friend was inspiring in lots of ways, the least of which was opening my mind to this type of “cooking”. Raw food sounds really extreme, but it’s really just a bunch of creative ways to eat veggies, which we all could do more of. Raw cookbooks and blogs have been great resources for us in the summer to keep our apartment cool without surrendering to take out food. This is another recipe from Ani’s Raw Food Kitchen and uses a dehydrator , but we tried it in the oven and it worked just fine. Surprisingly, the dipping sauce tastes quite a bit like Hollandaise, but is just made out of things you probably have in your pantry, making it really quick and convenient. It’s enough for us as a light lunch, but you could serve it as a side to a hungrier crowd. 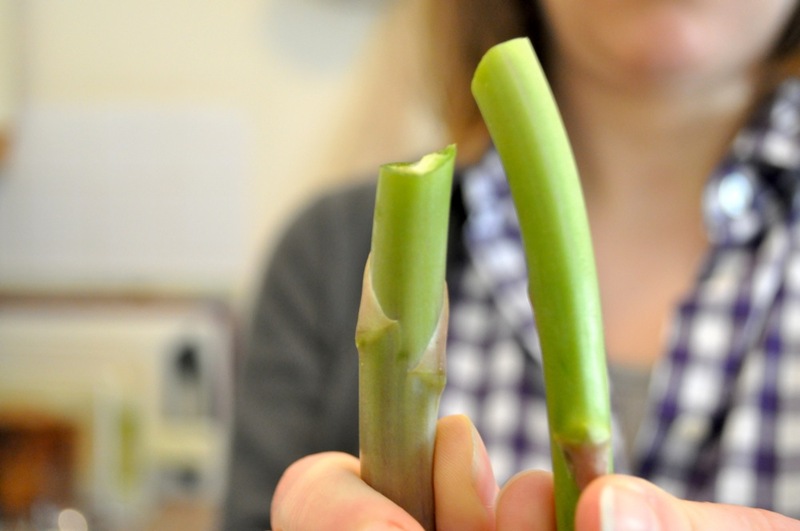 Prepare the asparagus by grasping a stalk at the end with one hand and in the middle with the other. Bend the stalk until it snaps. 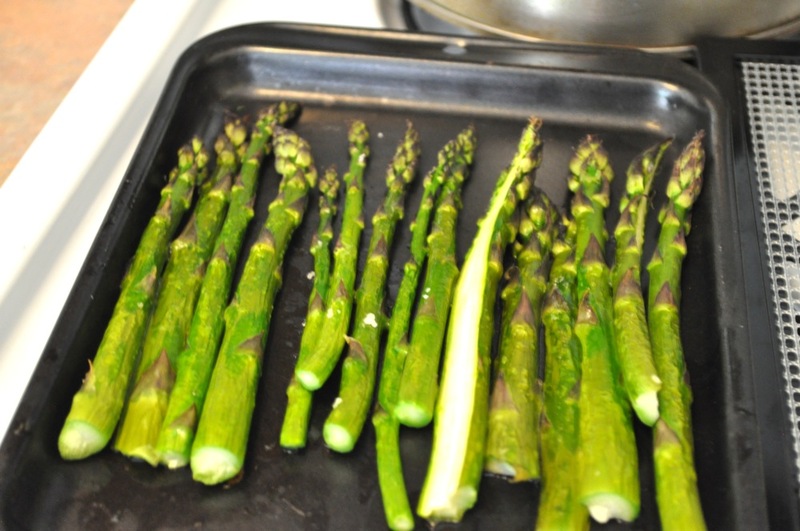 Discard the end and repeat with the remaining asparagus. If any are bigger than your index finger, slice them in half the long way. 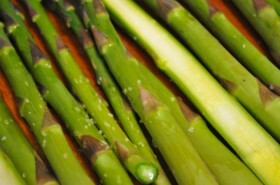 Drizzle the asparagus with olive oil and sprinkle with a pinch of salt. 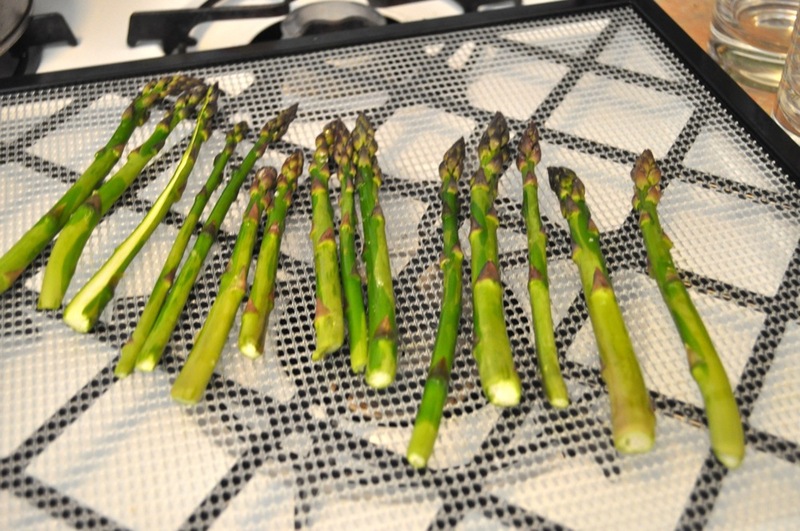 If you are dehydrating, place the asparagus on the dehydrator’s mesh tray and dehydrate at 105-115 degrees for about an hour. If you are using the oven, place the asparagus on a roasting pan and put in a cold oven. Turn the oven to 350 degrees and bake for 15 minutes. 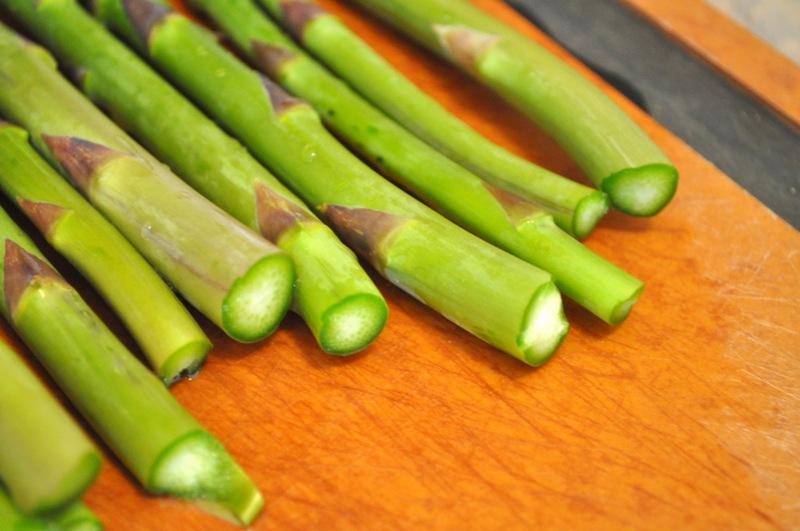 While the asparagus is softening up, place the remaining ingredients in a blender and blend until smooth, adding water to get to your desired consistency. We used about 1/4 cup. 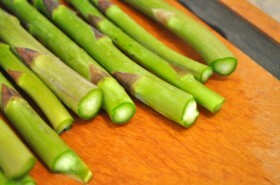 Once the asparagus is done, serve a pile of asparagus with the dipping sauce on top or on the side. 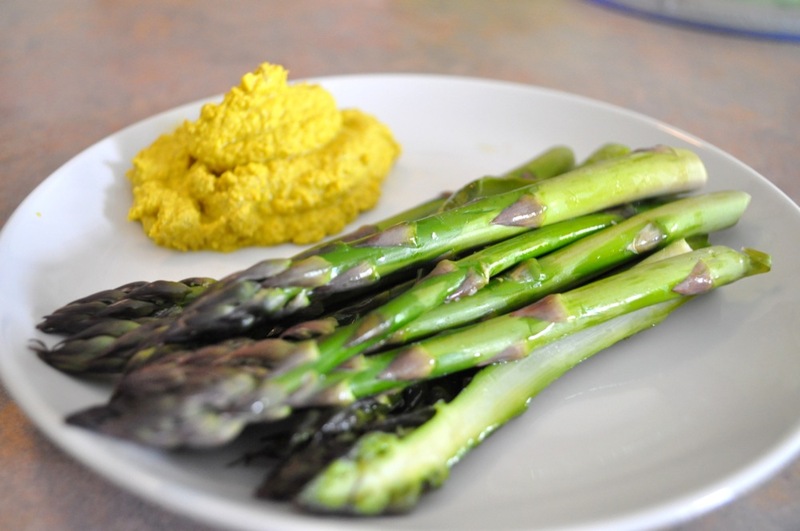 No need to avoid turmeric in my book! This stuff is incredible for skin care, and quite tasty too. I’ll have to give this recipe a try. turmeric is one of the herbs that can increse immune response and shorten healing times. .